The final piece of the jigsaw for us at Endeavour is to encourage our young people to give something back through social action. We subscribe to the ‘Step up to Serve’ definition of Social Action which is ‘practical action in the service of others that creates positive change‘. In practice, this means providing our young people with opportunities to gain new skills and experiences through activities that also directly benefit others. 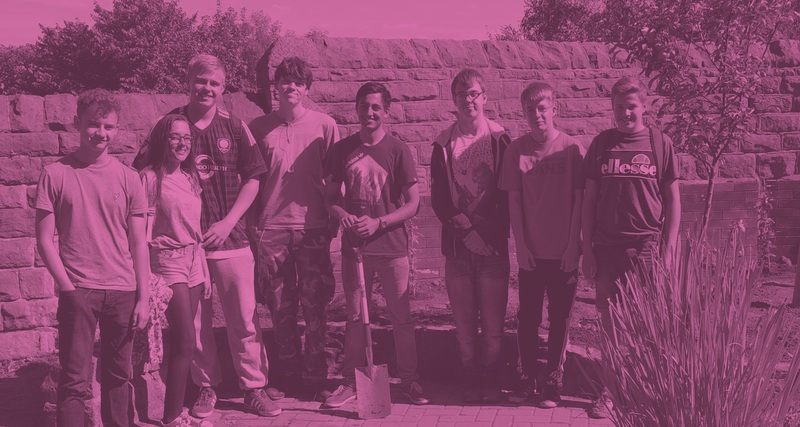 Activities like clearing land and building fences for ‘Beyond Boundaries’ - our partner charity which supports people with learning difficulties. Or providing hands-on support for our local food bank. Or collecting and distributing coats for local homeless people. When Lana first joined the Boost project, she was crippled with self-doubt. She struggled to make eye contact and spoke so quietly it was sometimes difficult to understand her. Lana told us she had experienced problems in the past with controlling her temper and emotions and had suffered bouts of depression. Although Lana had recently graduated from College with a level 3 qualification in Animal Care – something she loved – her complete lack of confidence was making it difficult to cope with meeting new people, let alone prospective employees. Over time, Lana began to let down her guard and she started to build trusting relationships with the staff at Endeavour. Through regular support and opportunities to talk through her thoughts and fears she started to focus on her aspirations for the future. Lana started to channel her energies into positive activities to benefit others. Through a social enterprise project with one of our partner charities, her enthusiasm grew along with emerging leadership qualities. She also took on a volunteer post at another local charity supporting 5 to 17 year olds with an Autism Spectrum Condition. In so doing she benefitted personally – from growing confidence and valuable life and work skills. Lana went on to gain further work skills qualifications and is now actively seeking employment. Watch this space… !